One of the most crucial stages in shipping is booking the right vessel for freight, there are many things to consider, price, transit times and destinations. This is made more difficult for both the shipper and shipping lines alike as year after year there are overbooking’s of space on vessels. Shippers will often feel short-changed by shipping lines as they feel they can’t get the space they need at times deemed crucial for their business. The latest sluggishness in global trade is in conformity with the persistent weakness in global economy, from 1990 to 2005, according to Alpha liner’s figures, the global container port volumes increased by between three and four time the global GDP growth. These fluctuations make it difficult to predict the container demand growth. As carriers remark, they can’t accurately forecast ship loads which leads to problems with the equipment and space, further aggravating this difficult situation. Figuring out a way around shortfalls would be of great benefit, lines would be better able to respond to the bookings of customers that have urgent and specific sailings to meet. Overbooking is especially rampant for shipments out of China – which accounts for over a third of containers carried in global transport. Unfortunately the effects of overbooking’s can be felt everywhere as shortages and surpluses of space on vessels to and from China are then felt on services that link all around the world. This puts an impossible burden on carriers because if they were to accept all these extra bookings they don’t know which ones are real and which ones are fake. A managing director of a large freight forwarder recently told that the way the industry currently deals with overbooking creates tension for all. It’s an inefficiency that exists and, according to him, until now nobody has wanted to, or was able to, tackle it. An executive at a major carrier said that a 30 per cent short fall on a ship would not be considered extraordinary. So, in order to evade the forecast against the actual demand, he explained the company would book the ship as if it were 130 per cent full. Reference: HKSG Group Media, The Container Shipping Manager, 2014, Reducing the stress of overbooking. 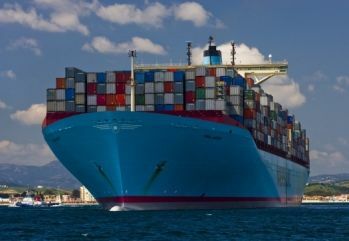 The Shipping Gazette, 2013, Can global port capacity keep pace with rising ship sizes and tonnage afloat?